When Goodbyn contacted me to see if we would like to review their Bynto lunch box I was thrilled. 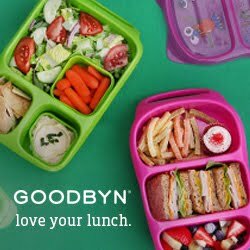 We started our journey of healthier lunches - waste free more then 2 years ago with three Goodbyn Originals. An unsurprisingly we LOVE the Bynto. The Bynto is BPA and phtalate-free, dishwasher safe and 100% recyclable! My kids love the clear lid. It gives you a great preview of what's for lunch today! Stickers are available on their website and since the Originals came with stickers I loved that Goodbyn included these for us! We had such a great time picking our design and if the kids ever want to change it you can either redecorate (we had quite a few fun stickers left!) or buy more/different stickers. Endless possibilities and lots of sticker fun! 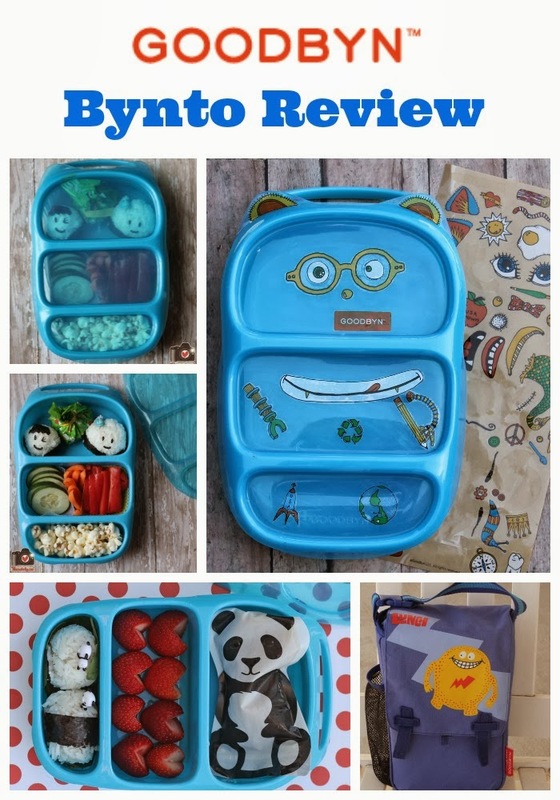 We also tried out their Blue Beast Insulated Lunch Bag and I have to say: I LOVE IT! It is incredibly roomy! We can easily fit our Thermos Funtainer, the Bynto, two ice packs and a snack box! 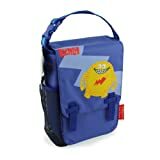 Overall, I would highly recommend this lunchbox, the insulated lunch bag, bottle and stickers! We have had our Goodbyn Originals for 2 1/2 years without any issues and even my three bottles are still going strong! lunch bag liner pulls out for easy cleaning! I really haven't found any cons to speak of besides the fact that the Bynto is not leak proof. 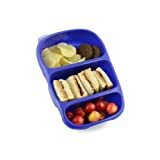 However, you can purchase leak proof containers for dips separately. Also available at your local Target! Find one near you HERE. We have these same containers. 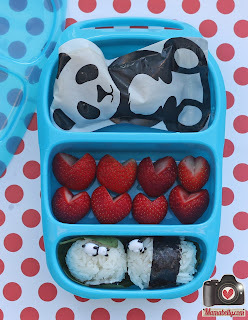 From a mom with a TON of lunch containers these are by far my favorite! Super easy to clean, very roomy. We had the originals as well and I always felt like they were too big. These are perfect!! I've read a lot of reviews where people were saying they couldn't fit the goodbyn in the bag. Did you have any trouble or are they just using the larger goodbyn? I picked up the same goodbyn that you have and was just wondering if the bag is a good or bad idea. Thanks! Carrie, the Goodbyn Bynto fits in the bag without problems! However the Goodbyn Original is too big and I read, too, that people were disappointed. The last picture shows the Bynto in the bag and there is still plenty of room. I normally pack a Bynto, ice pack, Thermos and snack all in the one bag :) Because of the shape of the Bynto I sometimes have to wiggle it to get in but it fits just fine and I personally love the bag. Hope that helps. You can email me at nina@mamabelly.com if you have more questions!